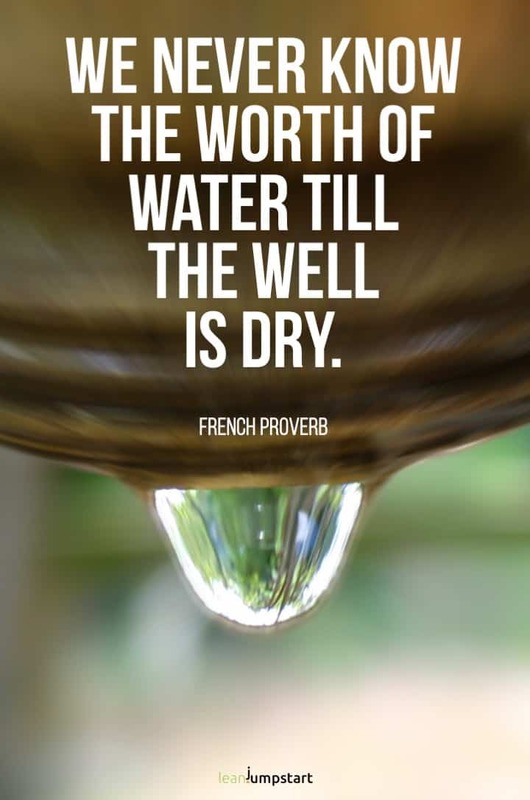 Also called “blue gold”, water is the most valuable and important commodity we have on earth. It is the foundation of all life and health. 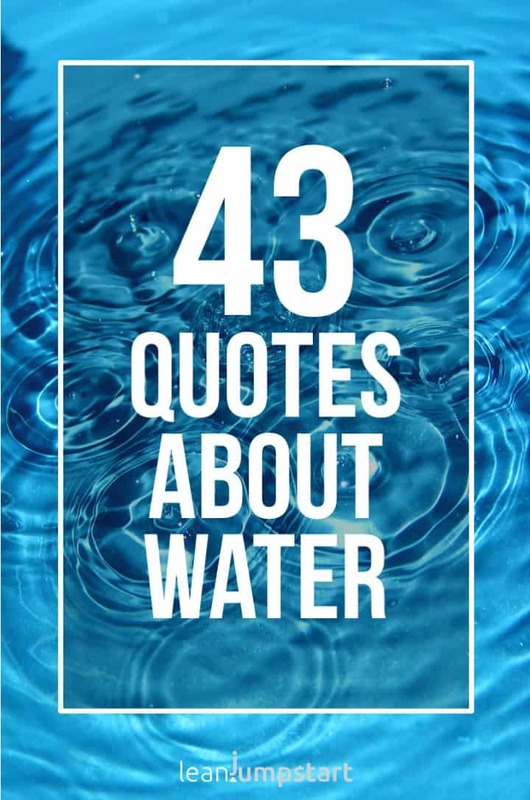 That’s why I’ve curated a collection of 43 water quotes and proverbs for you. Some of these though-provoking sayings will challenge you and your actual habits. 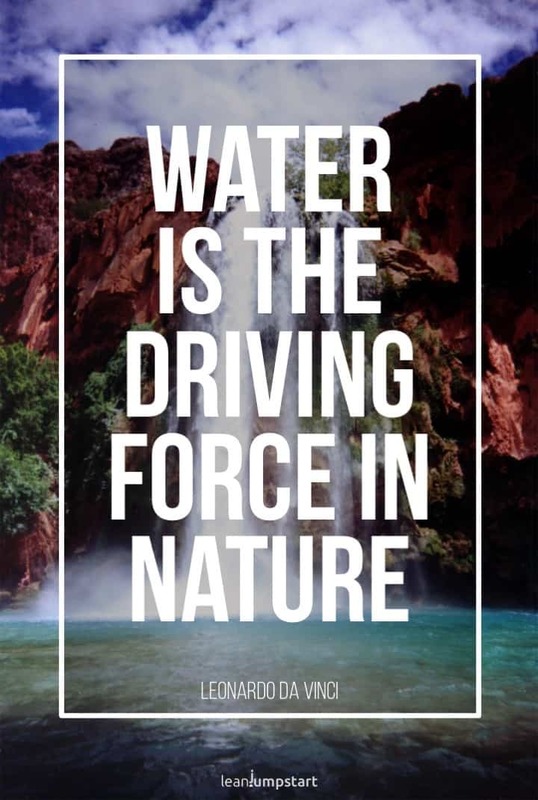 They can also motivate you to stay hydrated and to protect this important source of human survival. Even without deeper knowledge of microbiology, it is this power and energy that has always fascinated people about “Adam’s ale”. Greek philosophers already declared this precious liquid to one of the primal elements of this planet. They recognized both the benefits that could be derived from it and also the danger. It is one of the most amazing and absolutely indispensable substances we all know. All life on earth depends on it. Most creatures consist of their largest part of it. For some people, life should be a party full of joy. Some of us understand life as an opponent. But perhaps it’s best if we see it as a river. If we do it in this way, our lives will flow. Water is yielding but conquers everything. It extinguishes the fire, if it gets too hot, it escapes as vapor and forms itself new. It flushes away mellow ground. If it encounters a rock, it searches a way to go round. 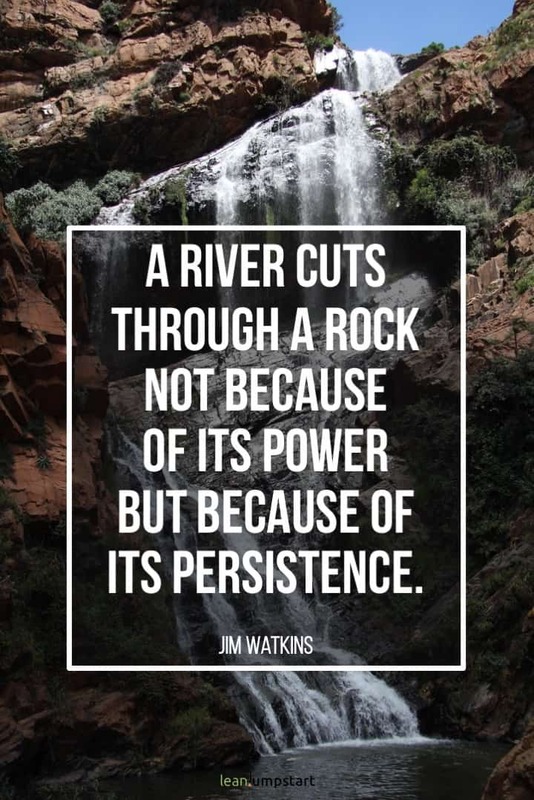 Do you wish to have more persistence and consistency in life? Do you have a smart goal system in place? To see what I’m talking about, check out my 87 motivational quotes about setting and achieving goals. The following thought-provoking quotes from the ancient world until today mirror the different aspects of our moods, actions, and life in general. Most of us know, that tears are not only responsible for eye cleansing but also very important for our mental health. 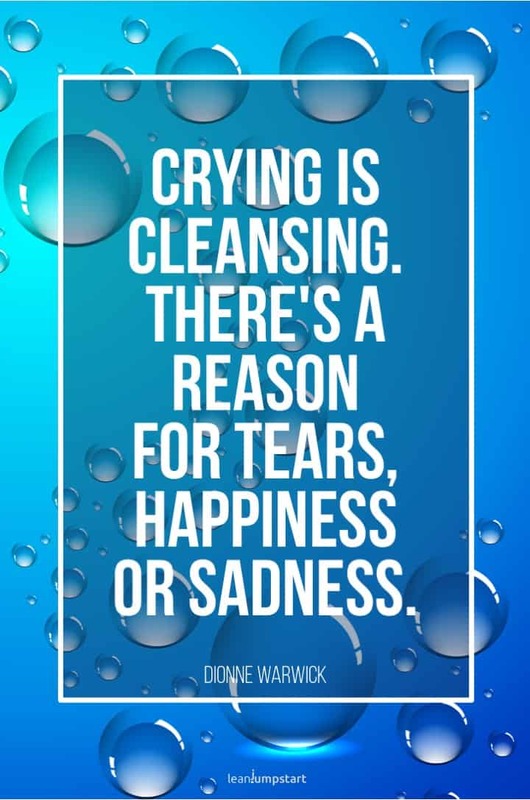 In the same way, as they wash away an unpleasant situation, tears often have a liberating and tension-relieving effect when strong emotions occur. Do you need a good laugh? Check out my hilarious compilation of 88 funny quotes about life. It is not only the most important component of healthy life on a large scale, but it is also the most important component on a small scale. As hygiene is essential to prevent illnesses, it also indirectly maintains our health. In addition, Kneipp cures can be used to cure illnesses, swimming to relieve pain and sauna and steam baths to prevent colds. There exists no single argument against “Adam’s ale”. 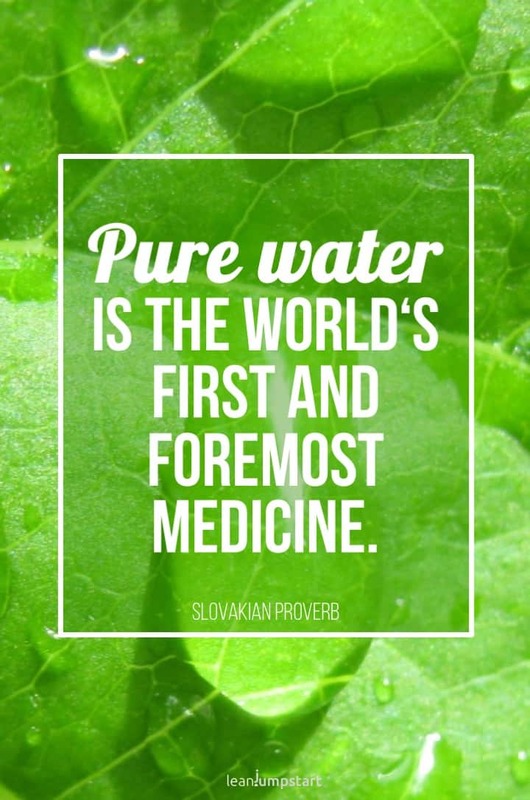 Let the following quotes inspire you to work on proper daily hydration. The World Health Organization assumes a minimum daily water requirement of twenty liters per inhabitant. However, direct consumption in the western industrial states is already many times higher at 120 to 400 liters per person per day. Nevertheless, private consumption on a global scale accounts for only about five percent of total consumption and plays a minor role in the scarcity of this crucial resource. The lion’s share (75 percent) is accounted for by agriculture. Apart from cultivation in the fields, meat production is here a major factor. On average, 16,000 liters of fresh water are required to produce one kilo of meat. Industry accounts for an additional 20 percent of total consumption. Therefore a general paradigm shift towards conservation of resources is already taking place in many parts of the world. This will continue to become increasingly important in the future. 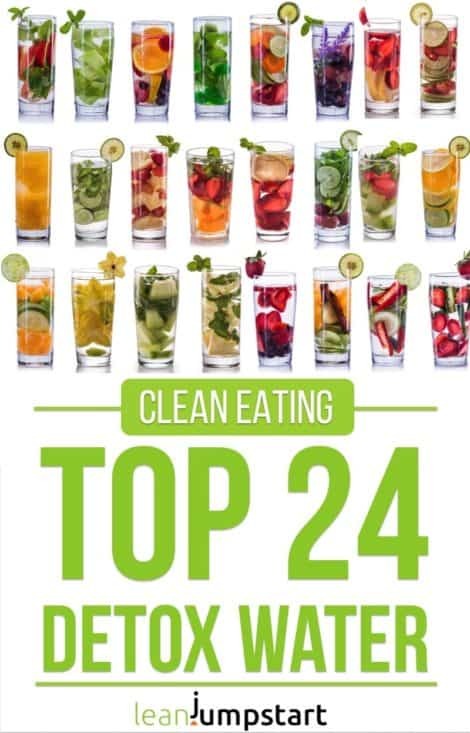 If until now you are mainly drinking soda, juices or ice tea, then the first crucial step is to optimize your hydration. It is a keystone habit you can start immediately. Just grab yourself a big glass of water. 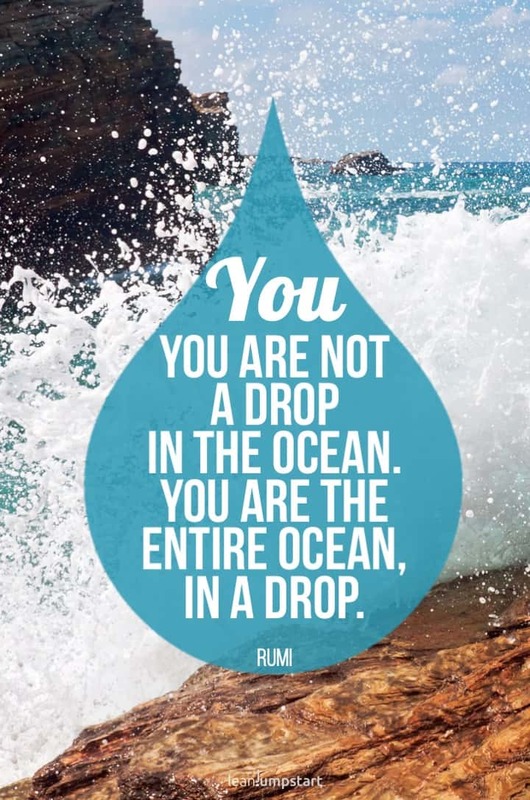 And if you need a little psychological boost, then a positive affirmation might do wonders. You can instantly download the poster below from my Etsy shop, print it and hang it on a visible place. 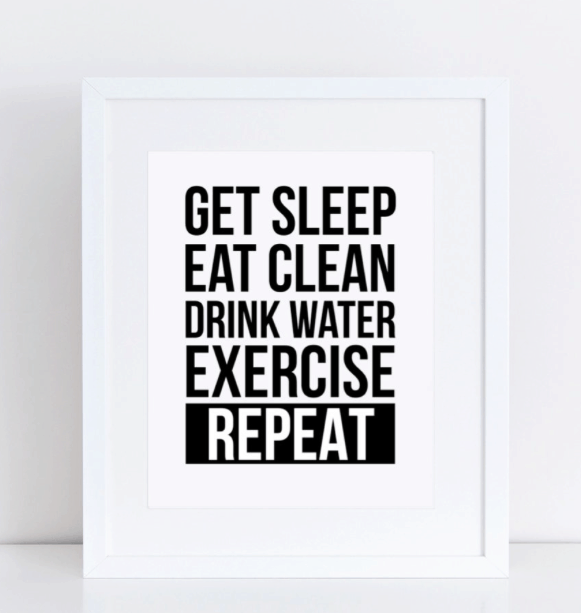 Get sleep, eat clean, drink water, exercise, repeat! How to make this keystone habit stick? 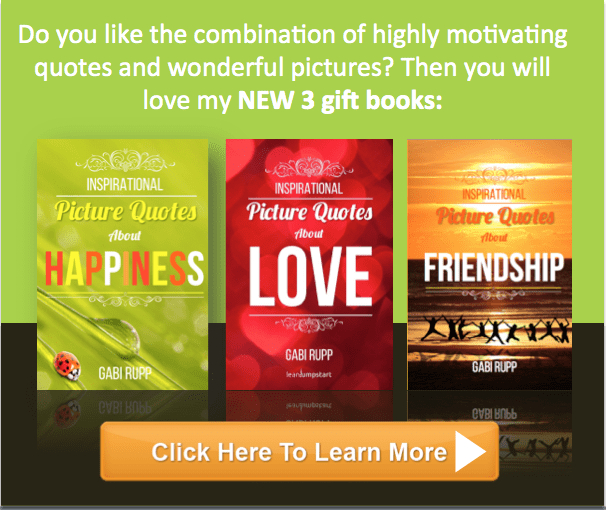 And if you like this you will love my 101+ inspirational quotes and motivational pictures or make sure to click below to check my motivational gift book collection!